Already use Facebook and Twitter? Try Instagram. Marketing opportunities are expanding on Instagram and mastering this social medium has become essential to building a trusted brand. The key to marketing effectively on Instagram is constant engagement with followers. People are no longer on Instagram just for the selfies and vacation pics. 70% of users have looked up a brand on the platform and over 60% follow a brand because they like the brand. Engage by rewarding your followers, posting content your followers can relate to, using hashtags, and collaborating with other businesses. You have to give your followers a reason to follow you. Nobody wants to follow an account that only posts about the products and services they offer. You must keep them engaged, entertained, and informed. Give your followers a glimpse of what your employees are up to, what projects are in the works, and events that are being held or attended by business leaders. Stories are perfect for capturing this because you can create an unlimited series of photos and videos that easily accessible to followers. The success of Snapchat is a testament to how effective using Instagram Stories. Live streams are also available on Instagram now. Interact with your follower by answering to questions and comments in real time. Have your followers advertise for you. Photo contests basically involve followers sharing a photo of them posing with a product in some creative way. 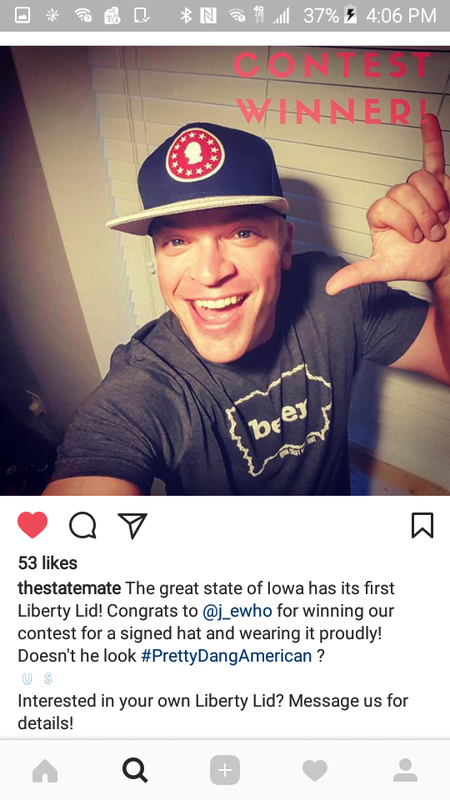 They include a tag to the company account or a certain hashtag in the caption. Whoever has the best photo wins some reward. There are different ways to do this, but the goal is generally to boost excitement for a soon-to-be released product. Following people back is very useful. When you follow others you gain access to their followers. Liking comments encourages more activity. A great way to build a relationship of trust with your followers is uniting around a common cause, culture, or lifestyle. 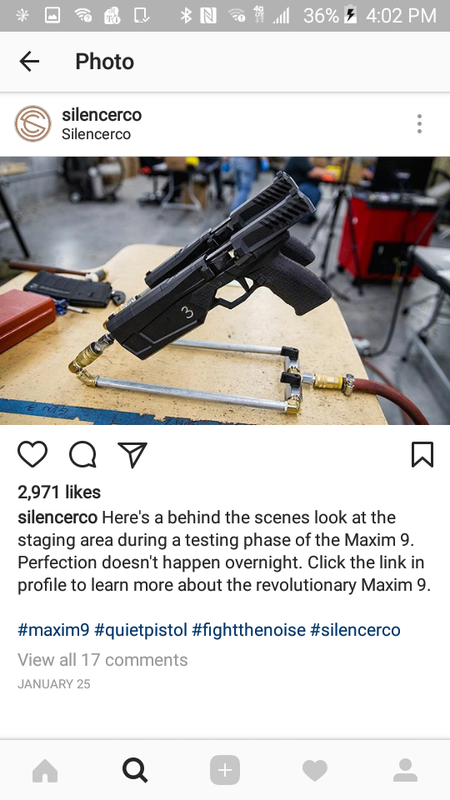 A great example, is Silencer Co, a gun suppressor business. 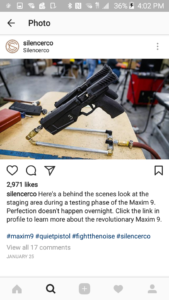 Not only do they show off in stunning fashion the latest gun suppressors, they show their gun enthusiast followership that they support their 2nd Amendment and are actively involved in protecting it. Winding Wheel Supply captures a sense of patriotism in their photos that resonates well with their core followership along with the old western-style imagery. Their hashtag #leadaquietlifeandworkwithyourhands rings of a philosophy that both the company and its customers hold. This may be harder for other types of businesses, but it is a concept worth considering. You want your clients and potential clients to know that you understand them. Studies show as much. “In marketing terms, by presenting not only your products, but also the culture and lifestyle that surround them, you’re strengthening your brand equity; that is, the feelings associated with the brand [source:Kissimetrics]. If your company has a presence on Facebook and Twitter (if not Contact us right now) then you are probably familiar with hashtags. There are three types of hashtags you should utilize: trendy hashtags, relevant hashtags, and your signature hashtags. Trendy hashtags are those that are widely used throughout social media by people of all backgrounds. These include #throwbackthursday and #repost. Relevant hashtags are those that are relevant to your business (#tech or #cardealers). 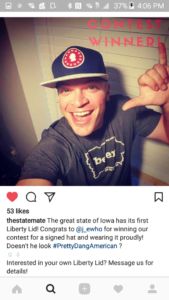 Your signature hashtags are hashtags that are of your own creation or unique to your company. They do not necessarily have to be brand new or original but it should be something that people can immediately associate with your particular business. The Statemate’s signature hashtag, #PrettyDangAmerican, is memorable and relevant to what the business does. This is one that should be incorporated at the top of the caption, not just at the bottom hashtag paragraph. 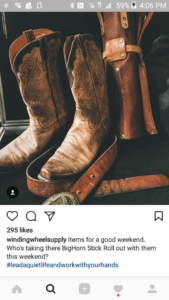 An unpaid shoutout is a popular marketing technique on Instagram. This involves partnering with another account with close to the same number of followers to promote one another. This can often be stronger than the use of hashtags because tags are direct links to accounts. Any outside collaboration with non-profit organizations and such should definitely be shown on Instagram. Instagram continues to innovate and improve upon its marketing capabilities. Take advantage of these opportunities, especially while competition is relatively low. Contact us at Ket-go for a consultation on Social Media. And if you do not have time to run an account, we will do it for you!